Highly regarded for its superior stain-resistance and effort-free shine, Quartz is rapidly becoming the choice of many homeowners who are seeking a high end product with both durability and elegance in design. With Quartz Counter Tops fitted in your Kitchen, you do not have to worry about aggressive cleaning chores and periodic maintenance. 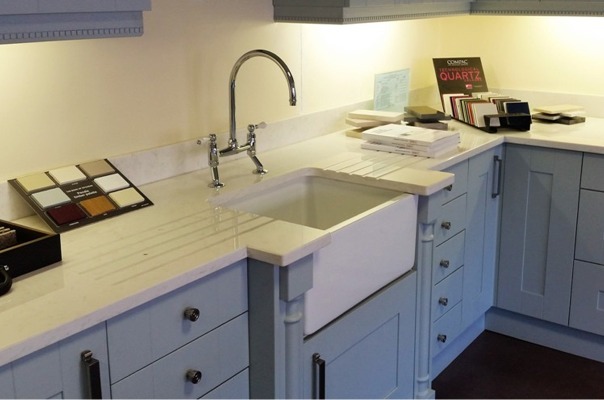 At Barlows we have a large range of quality Quartz sourced from reliable suppliers. We can provide a complete templating and installation service. We can produce Curves, Inset for Sinks and Taps and Grooving to suit your needs.